Cyan Worlds makes a few necessary tweaks behind the scenes. 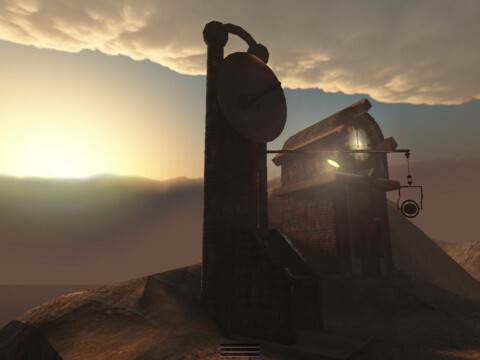 In case you haven't heard, realMyst is one of the greatest PC to iOS ports in recent memory. Cyan Worlds did an outstanding job not only bringing the game to iPad, but re-imagining it in open-world 3D, giving players unprecedented freedom to explore in the process. If you demand further proof of this title's greatness, read our realMyst review. That aside, the developer just released an update that adds welcome improvements to the game. Check out the list below. -New, high-resolution text & images in books and notes! -Improved textures in a few floor areas. -Improved user interface navigation behavior. -Fixed staircase area in Mechanical Age. -Fixed issue in the generator room on Myst Island. -Fixed the dock fore-chamber door on Myst Island. -Small loading improvements in some areas. -Fixed several other small bugs. -Adjusted iOS requirements for stability (iOS 4.3 or higher).